South Korea rolled to yet another victory and stayed unbeaten to claim the Asian Baseball Championship crown yesterday when they thrashed Indonesia 15-0 in a shortened six-inning game. 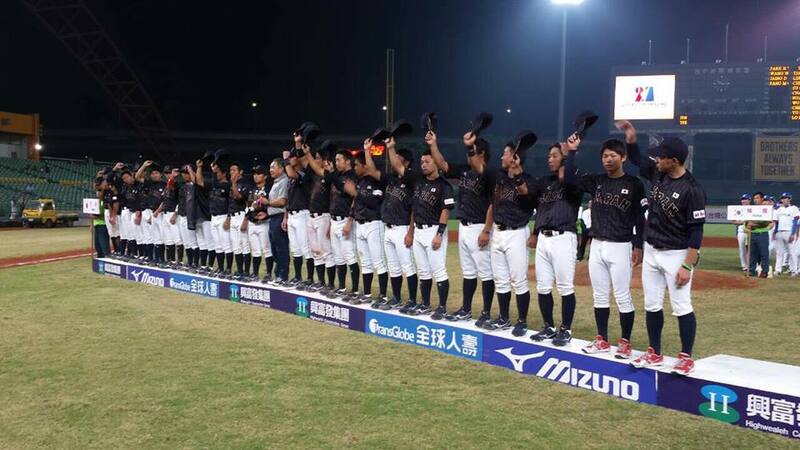 Taiwan took the silver medal by defeating Japan 3-1 at the Taichung Intercontinental Stadium last night, with slugger Su Chih-chieh hitting a solo homer in the seventh to break a 1-1 tie, before the hosts added another run in the eighth. Ending the competition on a high note, Taiwan’s triumph gave the hosts a 4-1 record, with their only defeat to South Korea; while Japan finished in third place with a 3-2 record, having lost to their two East Asian rivals. In the final day’s other contest, China shut out Pakistan 5-0 yesterday afternoon to finish fourth. Baseball minnows Pakistan and Indonesia finished bottom of the heap in fifth and sixth places respectively. South Korea ended Japan’s title-winning streak of five straight golds in the tournament since 2003. South Korea made it look easy again yesterday by knocking around the opposition pitchers to pile up 13 runs in the first two innings, then scored two more in the sixth to end the game due to the mercy rule. “Our players have done their job to win this tournament. They fulfilled my expectations of what they can do. I was especially thrilled to defeat the two strongest opponents, Japan and Taiwan,” South Korea manager Yoon Young-hwan said. The key to capturing the title was their dramatic come-from-behind 2-1 victory over Japan on Saturday, with the outcome only decided with the very last swing of the bat. Japan led 1-0 on an early solo homer by outfielder Toshiyuki Hayashi and were poised to take the win when they still held the lead going into the bottom of the ninth. South Korea’s Lee Woo-sung then lined a single up the middle to get to first base and the next batter pushed him to second with a sacrifice bunt. One batter later, South Korea were down to their final out when Yoon called pinch-hitter Ha Ju-suk from the bench. Facing ace relief pitcher Taisuke Kondoh, left-hander Ha worked the count to 3-1, before taking aim at a Kondoh fastball and getting all of it as the ball sailed high into the seats in the right-field stand for a game-winning two-run homer. The lasting image of the game was the South Korea players pouring out of the dugout in wild celebration, while Japan’s players and coaching staff were left with stunned expressions. Japan manager Tsuyoshi Ando shouldered the blame for the defeat. In the other action on Saturday, Taiwan trounced Pakistan 14-0 in a shortened seven-inning game, while China thrashed Indonesia 13-2.